Together we can build a better, stronger web. Find out more about our workshops and help us make the web better. Our “Build Right: Build Responsively” workshops have been a huge success. This year, we're taking Build Right to a new level. Just last week, we launched the brand new Build Right official site: http://buildright.io/. We're serious about education, so we're getting serious about Build Right. 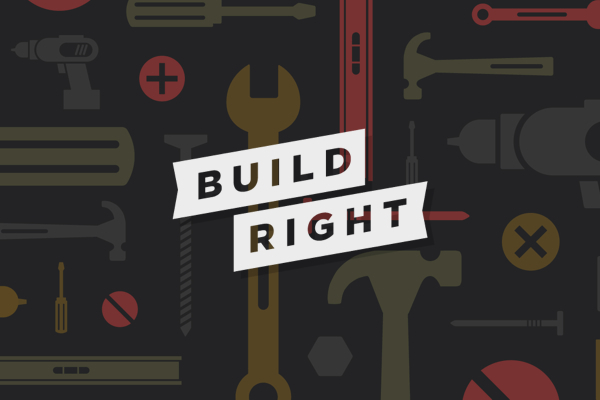 The new site is now the home for all the workshops in the Build Right series, with helpful information for attendees or conference organizers. Take it for a spin! Each workshop has a landing page where you can dig deeper into the workshop content, or find a workshop coming to a city near you (check out Build Responsively and Frontend Tooling). And don't forget: we're always looking to spread the love and the learning! If you'd like to bring a Build Right workshop to your event or company, it's as easy as shooting us an email to start a discussion!